Home » WOD Blog » I’m Through Talking . . .
I’m Through Talking . . .
Notes: This will be performed as a group starting right at the beginning of class. Notes: We were born with traps so we could put a bar on them! Get acquainted with this, the greatest barbell exercise of all time. Upright torso, shoulders pulled back, elbows down at the start. Hips descend down and back as the knees flare out, anchoring your hamstrings to your calves, then explosively driving up with the chest. Notes: This should be challenging, but doable. No misses. 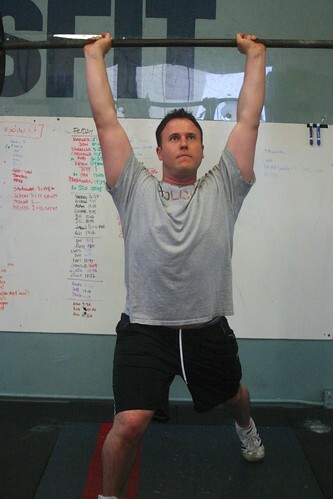 Notes: Perform all 10 snatches with one arm before switching sides. This week I am going to light up another long time member who tends to fly under the radar. He joined us almost 2 years ago, with too much strength for his own good, and no technique whatsoever. Today he is one of the coolest, humblest, funnest, most down to earth guys I’ve ever met. He’s always smiling and working hard, and he’s probably said all of 10 words to me since 2011, a fact I am going to fix pronto. Thanks for sticking with us this long Mike Doremus. If you’re a child of action films of the 80’s, 90’s, and 2000’s I dare you to watch this video and not smile. Points to how many movies from here you can name.